Sudeley Castle stands in Winchcombe, for a time the capital of the Anglo-Saxon Kingdom of Mercia, just 9 miles from Junction 9 of the M5 but a world away from the hustle and bustle of the life that artery maintains. Sudeley Castle is nestled away along a single track road from the village. Just as you wonder whether you’ve taken a wrong turn, the gates greet you, beckoning the visitor to the feast of history within. 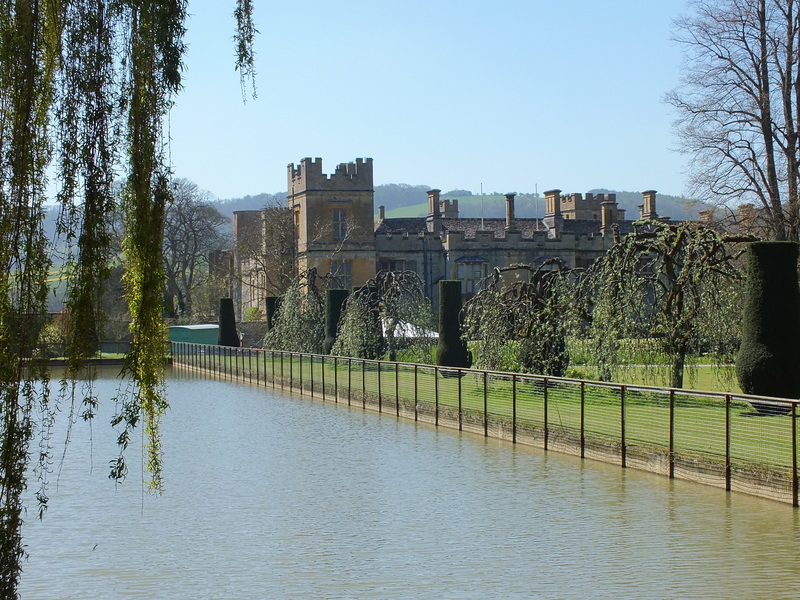 There were several reasons I was drawn to Sudeley for my first visit. The facial reconstruction of Richard III was lodged there at the time, which is perhaps reason enough for me. 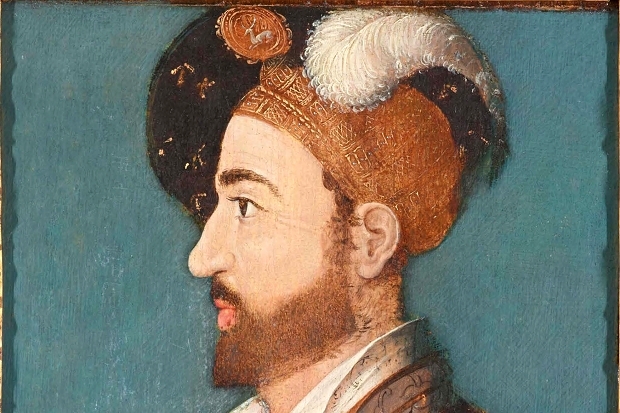 I knew of Sudeley’s Tudor connections too, to Henry VIII and Anne Boleyn, Catherine Parr and Elizabeth I, but there was so much more to discover than I had imagined. 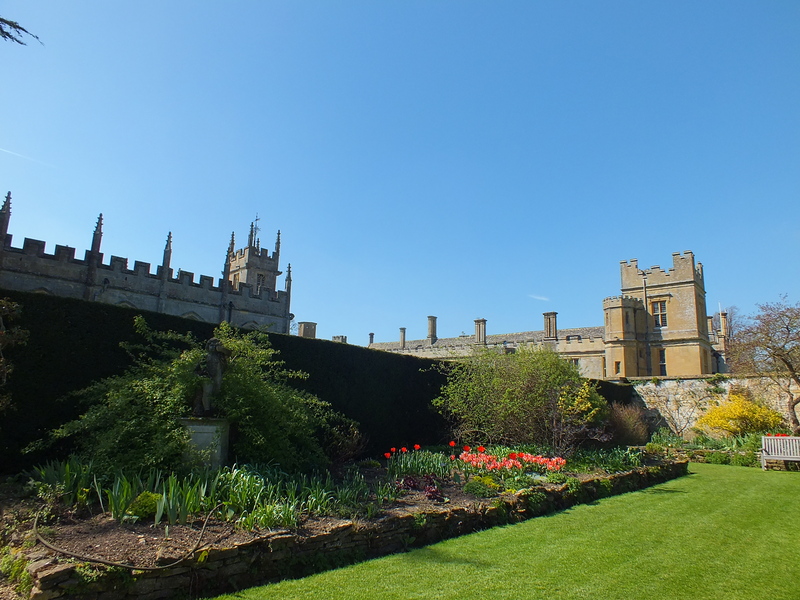 The welcome at Sudeley was as warm as the weather (which is a complement – it was actually a really nice day!) and stepping into the grounds leads through beautifully maintained gardens as the visitor winds their way up toward the castle. The first building encountered is the now ruined Tithe Barn, built in the 15th century but a victim of the Civil War. It remains a picturesque ruin though, displaying several species of rose within its remaining walls. The Barn, along with significant parts of the castle itself, date from the time the estate belonged to Ralph Boteler, Baron Sudeley (1394-1473). Ralph made his fortune in France, serving with Henry V, and held prestigious titles as Captain of Calais and Royal Treasurer to Henry VI. 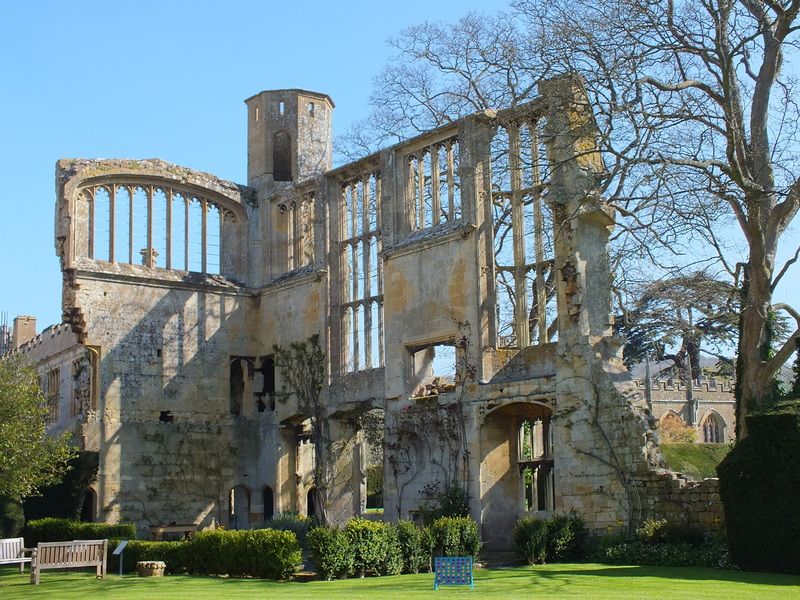 When he returned from France, Ralph renovated Sudeley but lost the property in 1469 for his support of the Lancastrian cause in the Wars of the Roses. 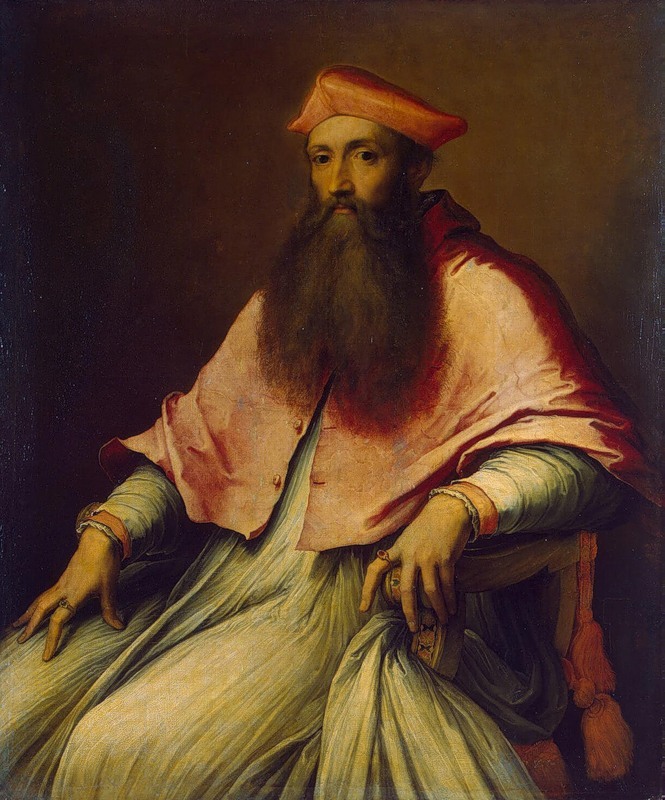 Ralph Boteler left no male heir, his only son Thomas having pre-deceased him. Wars of the Roses interest is significant here too. Thomas Butler (as Boteler had evolved into) was the husband of Lady Eleanor Butler, daughter to the Earl of Shrewsbury, who was supposedly involved in the pre-contract of marriage with King Edward IV that was later used to invalidate his marriage to Elizabeth Woodville and declare his heirs illegitimate. 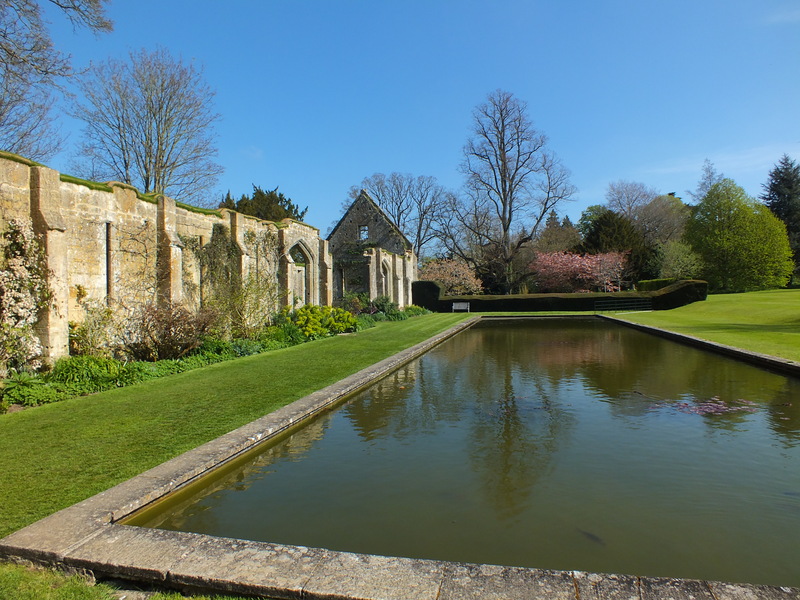 The reflection pool that runs alongside the Tithe Barn was added in the 1930’s and offers a tranquil position from which to view the castle as the giant carp pop up now and then. From there, a leisurely stroll around more immaculate gardens brings the now eager visitor to the castle itself. 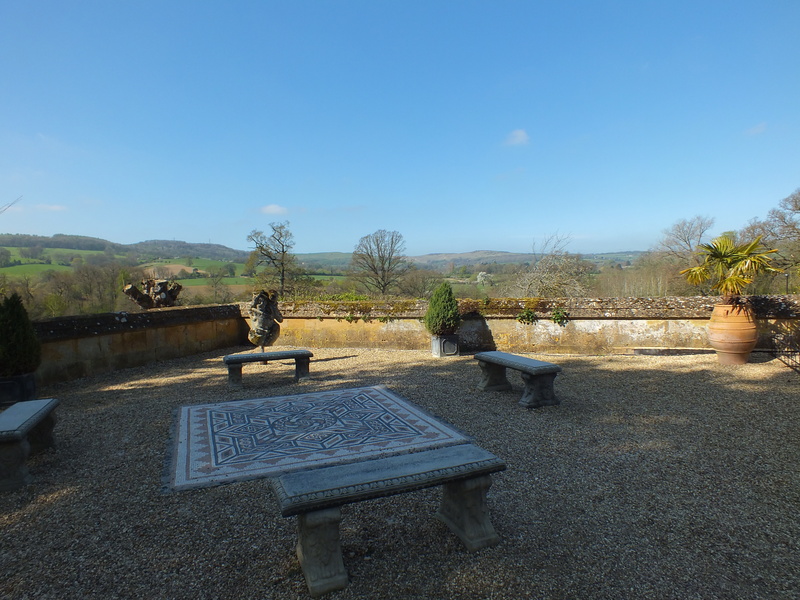 Underneath the terrace is a display of stones removed from Winchcombe Abbey, a stark reminder of the cultural vandalism of the Dissolution of the Monasteries. In 1539 the Abbey was dissolved and the land granted to Thomas Seymour. Some of the stonework of the Abbey was moved to Sudeley to form an underground waterway. It was uncovered in 1996, but it is believed more plundered stones filled the castle moat and remain buried under the grounds and gardens. A flight of stairs, in the shadow of which a row of Victorian dog kennels remains, leads to the terrace, offering a stunning view over the Gloucestershire countryside. It is not hard then to imagine the old soldier Ralph resting himself there, or Richard, as Duke of Gloucester, pondering the building work he was to undertake during his custody of Sudeley. Nor is it difficult to picture the lovelorn Henry VIII strolling along the terrace arm in arm with Anne Boleyn, and their daughter Elizabeth enjoying the hunt during one of her three visits to the castle. It is somewhat unfortunate that photographs cannot be taken within the Castle, though also understandable. A significant amount of charm is derived from the fact that Sudeley remains a family home as well as a visitor attraction. Amongst the medieval portraits and letters, the beautiful fabrics on display and the oddities that made up Emma Dent’s museum are family photos and I have to say that this adds charm and a real connection from the very present to the distant past in a way that many such places cannot do. 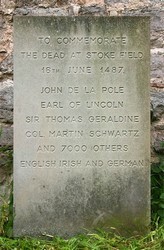 Richard III, then Duke of Gloucester, received possession of Sudeley Castle from his brother, King Edward IV, in 1469 after it was confiscated from Ralph Boteler. Richard owned the property for 9 years before exchanging it with his brother the king for Richmond Castle, presumably to consolidate his holdings in the north. When Richard became king, he regained Sudeley too. 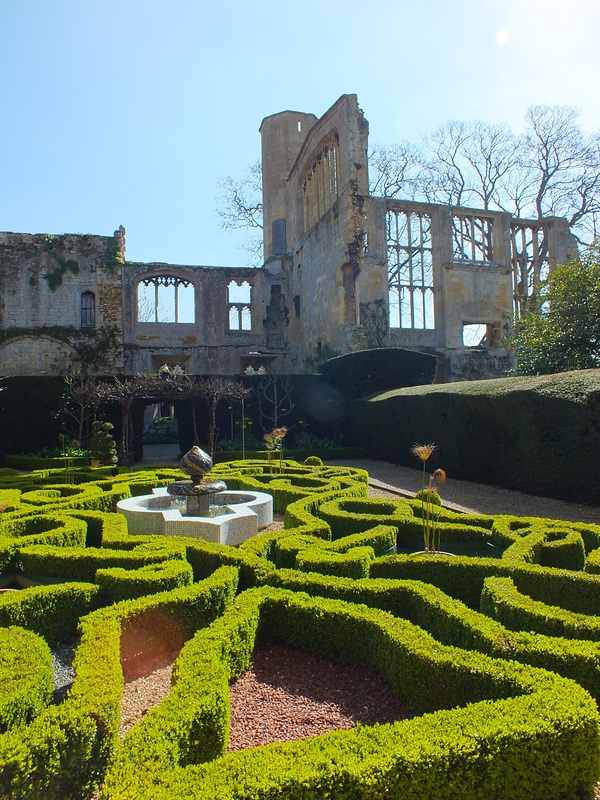 It was during Richard’s stewardship of Sudeley that the Banqueting Hall was built. Now ruined, its vanished splendour is still to be perceived in what remains today. The Knot Garden, which can be entered part way through the castle tour, offers a spot for tranquil reflection in the heart of the castle and water gently falls from the fountain at its centre. The Ruins Garden can be accessed from here, a spot where nature has claimed some of the stonework for her own. As the castle is exited, the visitor is greeted by the remains of a covered walkway that once ran from the Castle’s door to the parish church of St Mary’s just a short walk across the lawn. Once more, the spectacle of Katherine Parr strolling that very path on her way to worship at the church almost conjures itself in the mind. The church is beautiful, but its great attraction for the visitor is the tomb of Katherine Parr, who married Thomas Seymour, uncle of King Edward VI, after Henry VIII’s death. She saw out her final years at Sudeley Castle with her fourth husband and it retains several fascinating personal items; two books that she wrote, personal letters to Thomas Seymour, one demonstrating her contempt for his brother Edward, Duke of Somerset and Protector to Edward VI, who she declares she would have bitten had he been close enough after one altercation! Her privy is also not to be missed. Words can barely do it justice! When the English Civil War ravaged so many fortifications across the land, Sudeley did not escape. The then owner, George, Lord Chandos, was a staunch royalist when confrontation erupted in 1642. In 1643, King Charles stayed briefly at Sudeley following the failed siege of Gloucester. In 1644 the Castle itself came under siege. When the garrison refused to surrender, canon pummelled the walls until someone inside opened the doors against orders. The castle was then slighted once the Parliamentarian side had won. 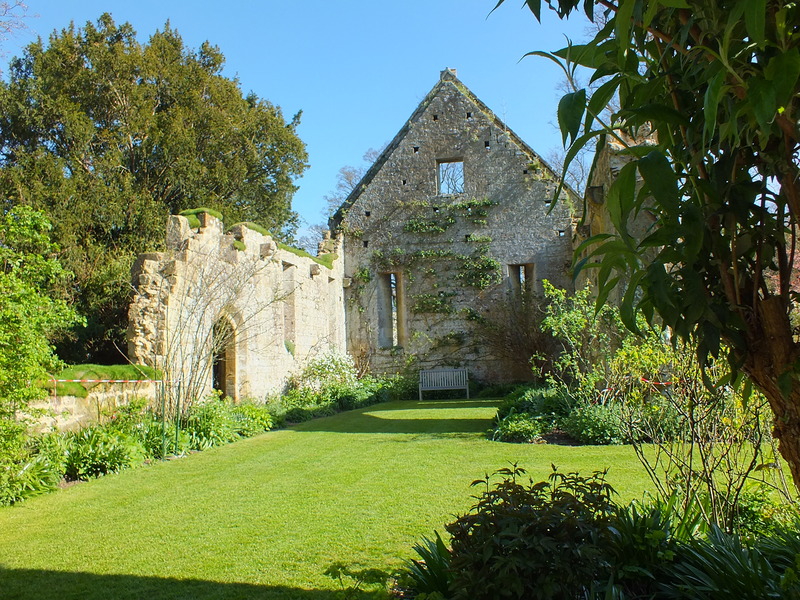 The gardens provide a beautiful stroll around Sudeley’s grounds, encompassing herb gardens with explanations of the medicinal benefits of the various plants, the secret walled garden and the Pheasantry. It is easy to lose track of time, absorbed by the amazing setting and surroundings. After a time as a romantic ruin, attracting royal visitors and sightseers alike, as well as the discovery of Katherine Parr’s lead coffin in a shallow grave, the property was bought by the wealthy Worcester glove makers John and William Dent in the mid 19th century. Through the Victorian age, Sudeley underwent something of a re-birth as the Dents poured their substantial fortune into resurrecting Sudeley Castle as a family home. 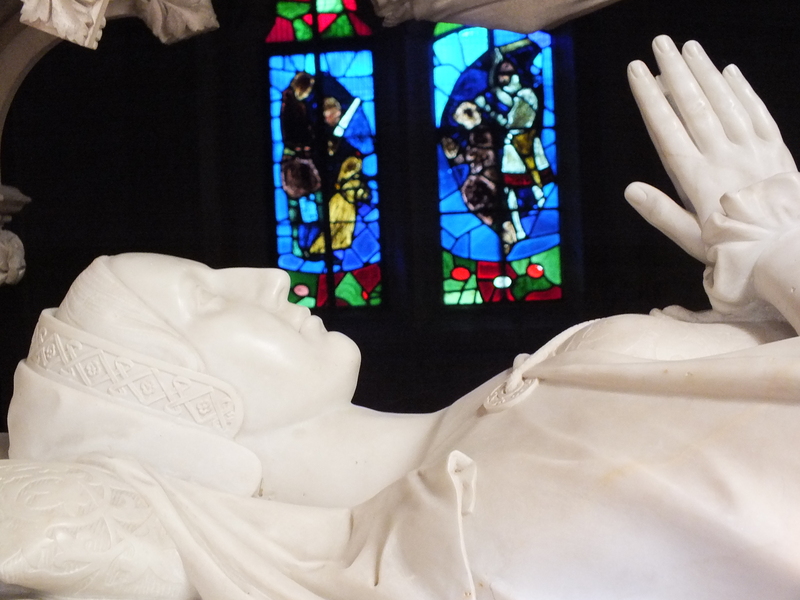 The Dent brothers died within a year of each other with no sons, so Sudeley passed to their nephew, whose wife, Emma Dent was passionate and committed her life to the Castle. One of Emma’s nephews then inherited Sudeley and it is this family who still call the Castle home today. 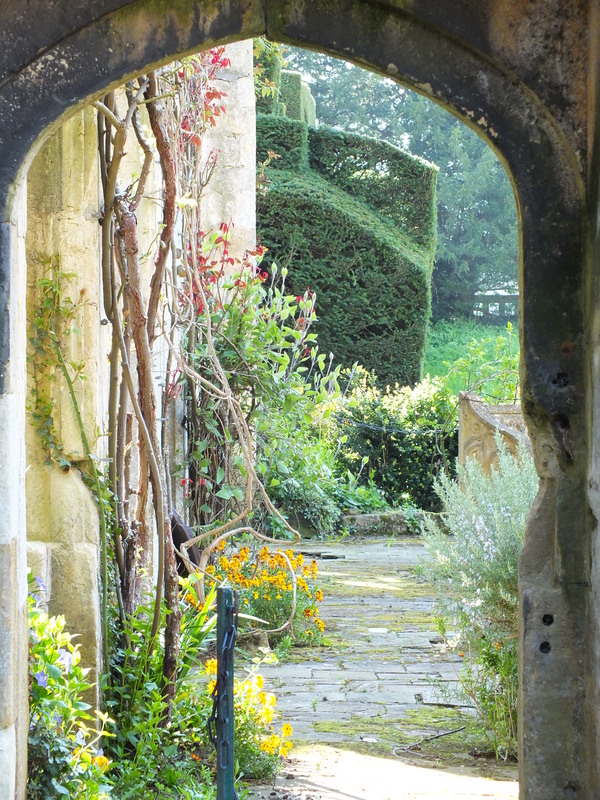 Their story, from the tragedies of World War I to today, are now a part of the rich history that can be indulged in at Sudeley, and that connection between past and present adds to the charm that wraps the visitor in the experience of this magnificent place. There is a very real sense that the tapestry of Sudeley’s history is still being woven. I thoroughly enjoyed my visit and hope that you will consider adding Sudeley to your “To See List” if you haven’t already been.